How does the run up to May 19th and Anne Boleyn’s execution make you feel? Having celebrated the joyful anniversary of her proclamation of queen at Greenwich, on Easter day in 1533, the mood turns, and those of us loyal to this most courageous of women, are plunged into sadness as the countdown begins to the execution of Anne Boleyn at the end of April. The betrayal and bitter sadness of it all weighs heavy. We think of Anne’s desperation, terror and grief at being parted from everything and everyone who mattered to her. How alone she must have felt! Yet is this the whole story? Maybe not…Maybe there is a final glimmer of hope in amongst this tragedy. The following may well be the surprising truth about her last moments. It is a story of hope and in the run up to the annual anniversary of the execution of Anne Boleyn, perhaps it might prompt us to think of her differently in those last hours of her life. Yet surprisingly, what we know from contemporary sources does not suggest that this was the case. I have always been strangely fascinated by the words of a Portuguese witness who afterward wrote an account of the events on that May morning saying that, ‘Never had the queen looked so beautiful’. Another account from De Carles stated that the queen ‘went to her execution with an untroubled countenance’. How is this possible? What was happening here, I wonder? I had always assumed Anne’s state of mind on 19 May 1536 was as a result only of her renowned courage and her deep religious piety. Whilst these two factors were undoubtedly of significance, I have recently come across what I believe may be an even more convincing and comprehensive explanation for Anne’s appearance and behaviour. In his excellent book, Out of the Darkness, the transpersonal psychologist, Steve Taylor, gives a fascinating insight into a phenomenon which he calls, SITEs – Suffering Induced Transformational Experiences. As the name suggests, these are profound shifts in consciousness which occur usually as a result of an individual experiencing significant trauma or turmoil. As I hope to describe in this article, there are some fascinating and tantalising indicators which suggest that at some point during her final hours on Earth – and facing the inevitability of her death – Anne Boleyn underwent such a transformation, and this radically altered her state of mind. It is clear from Taylor’s accounts that individuals who have experienced such ‘high-intensity awakening experiences’ as he calls them, radiate an aura of profound peace. Was it this that the Portuguese witness saw in Anne Boleyn as she made her way to the scaffold? However, before examining the evidence, we need to cover some basic psychological concepts in order to that we can make sense of what might have happened to Anne. We need to understand the psychological concept of the self and how intense trauma paves the way for SITEs to occur. Taylor describes that the self takes two forms; the ego, which is our conditioned sense of self and a deeper, real self, also known as the soul. The ego is a fragile concept. Through the accumulation of positions and possessions, we constantly seek to reinforce our sense of self through our status, wealth, plans and ambitions etc. ; the more we have, the more we feel in control and stronger and more secure our ego becomes. When any aspect of our sense of self is threatened, we respond on a scale of anxiety to terror depending upon the extent of the threat which faces us. Clearly, when an individual faces imminent death, as Anne did, this fear-based response becomes heightened to the extreme. When we face our demise, we are forced to confront the loss of our dreams, hopes, status, family, and friends etc. This can lead to a ‘psychotic breakdown’ (or nervous breakdown) of the type that was recorded in the case of Lady Rochford who went mad in the face of her own pending execution in 1542. Or, perhaps more unusually, a person may experience a ‘break up’ as the ego disintegrates, and a new sense of self emerges; a sense of self which is fearless and profoundly peaceful. Facing her demise, Anne’s whole identity would have been swept away, and as Taylor states, ‘at this point of devastation and desolation you are, paradoxically, close to a state of liberation’. In modern parlance, we call this enlightenment. So what evidence do we have to suggest that such transformation had occurred? As I have already mentioned, we do know that at the beginning of her imprisonment Anne seemed to suffer from periods of intensely fluctuating mood which from time to time bordered on near hysteria. 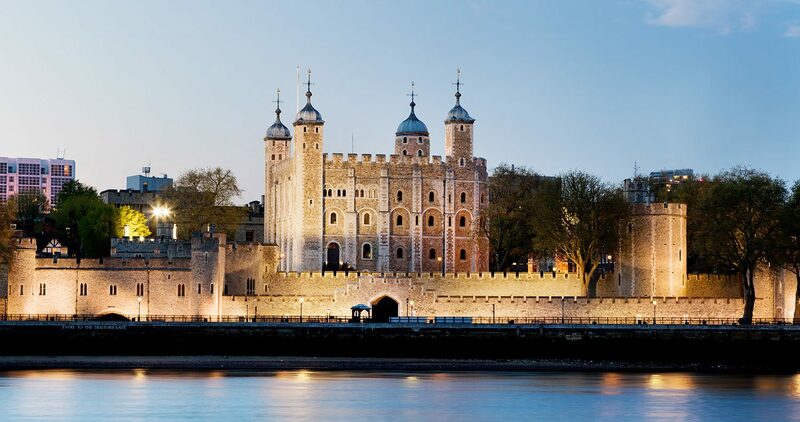 Yet by 18 May, Anne Boleyn’s execution was delayed for a second time, and she was noted as saying to Master Kingston, Captain of the Tower of London that it was ‘not that she desired death, but that she thought herself prepared to die’ (De Carles). It seems to me that Anne had reached a deep sense of acceptance and possibly genuine fearlessness which is typical in such cases. Finally, we’ve already touched on the accounts of eyewitnesses who described her peaceful countenance and radiant beauty. In fact one account says that as Anne stepped onto the scaffold she was ‘as gay as if she were not going to die’. Individuals who display the qualities of courage and realism: We know that Anne was noted for her courage. As Ambassador Chapuys noted in 1530, she was, ‘braver than a lion’. It is also not hard to see when you read Anne’s story that she was incredibly pragmatic, ready to face the situations that arose head-on and with no sense of squeamishness. The need to be in control. Anne lived in a world controlled by men. Yet, I believe she was, without doubt, an alpha female who took her fate into her own hands and strove with great resolve to bring about that which she desired, (note the falcon on her badge, adopted after she became queen, which symbolises, ‘one who does not rest until the objective is achieved’). Part of the reason that Henry fell in love with Anne was, of course, her strong personality. ‘Right brainers’; i.e. people with a strongly creative bent. We certainly know that Anne was incredibly creative. She enjoyed writing poetry, writing music, dancing and singing. Even in her dress she was noted to ‘everyday make some change in the fashion of her garments’ (Wyatt, Papers, v.p.141) Taylor suggests that such individuals have an intuitive personality and are highly emotional. This predisposes them to an intense response to trauma. There is plenty of evidence of Anne’s intemperance and that she was highly strung. Finally, gender also plays a part. Women more likely to experience SITEs in relationship to bereavement, illness and disability. Anne was not only facing her own death, but two days prior to this had possibly witnessed the execution of her own brother. In her own death, she also faced separation from her beloved daughter, Elizabeth. Taylor states that women on the whole have a weaker sense of ego – and therefore, it is more vulnerable to being blown apart by severe trauma. Of course, this is a theory that can never be proven. However, given these predisposing factors and what we know about eyewitness accounts of Anne’s state of mind in the run up to, and immediately before, her execution, I think it is worthy of consideration that something profound and amazing happened to Anne Boleyn in those final few days and hours. So that, to use her own words, she was able to say to the Constable of the Tower, Master Kingston, when he came to inform her that the hour of her death was upon her, ‘Acquit yourself of your charge for I have long been prepared’. Whether Anne experienced the highest intensity awakening experience possible or a partial but significant shift, I do not know. However, as the anniversary of her execution approaches, I would like to think that Anne walked to her death a more fully liberated woman, and at last having found a profound sense of peace. It is something that we can hold onto during these dark weeks in the run up to her anniversary. I hope that with the possibility in mind, you and I, and all those who hold Anne in their hearts, can be inspired by her example and live more fearlessly – for what greater legacy could she leave us? Note: For a full explanation of the SITE phenomenon see, Out of the Darkness: From Turmoil to Transformation by Steve Taylor. 2011. HayHouse. If you wish to read more about the life of Anne Boleyn why not visit our friends over the The Tudor Times.